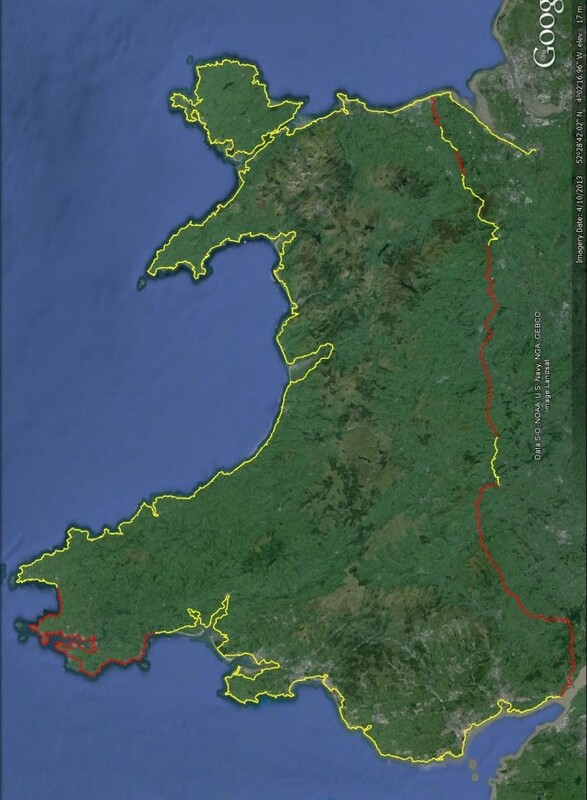 A week after the opening of the official Wales Coast Path we were back in Pembrokeshire for another weekend of walking. Once again we were staying in the Mariners Hotel in Haverfordwest with a bus to ferry us to and from the end points. We left Marloes Sands and walked along the cliff tops past Martin’s Haven and St Brides Haven to Little Haven. I also have little recollection of this walk and no photographs. After leaving Little Haven we waked through Broad Haven, Nolton Haven and on to the car park at the south end of the shingles at Newgale.